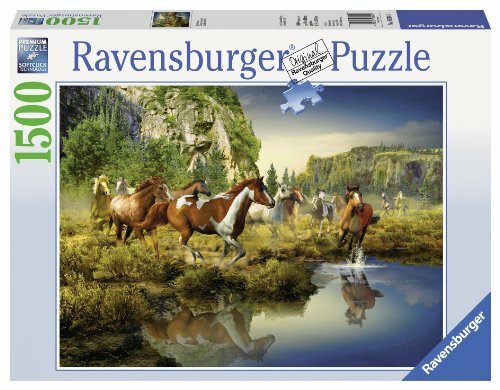 Are you looking for Horse Jigsaw Puzzles? 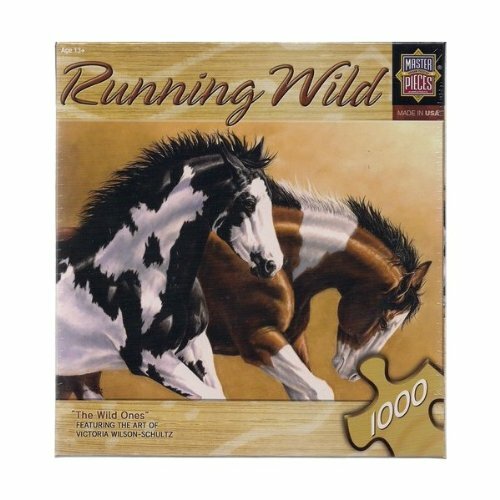 Capture the freedom of your imagination and let your spirit run wild and free with these amazing horse jigsaw puzzles. 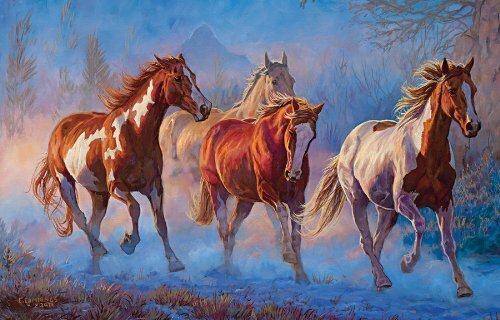 Without a doubt horses seem to capture our imagination and they are the symbol of freedom and strength. 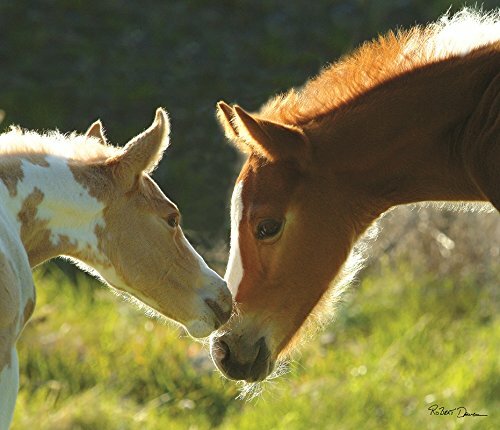 Some of us are lucky enough to share our lives with these beautiful majestic animals but if you aren’t as fortunate and you love horses then you’ll enjoy this page which is dedicated to the love of all horses. 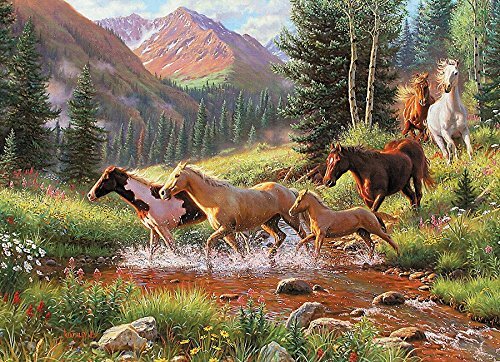 You will find a wide variety of horse jigsaw puzzles for you to choose from. 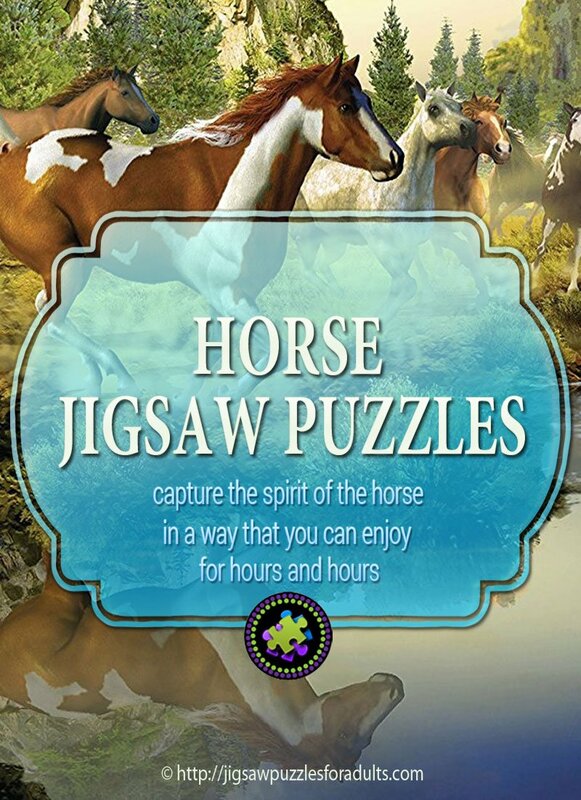 You will be able to choose from a varied selection of horse jigsaw puzzles below. 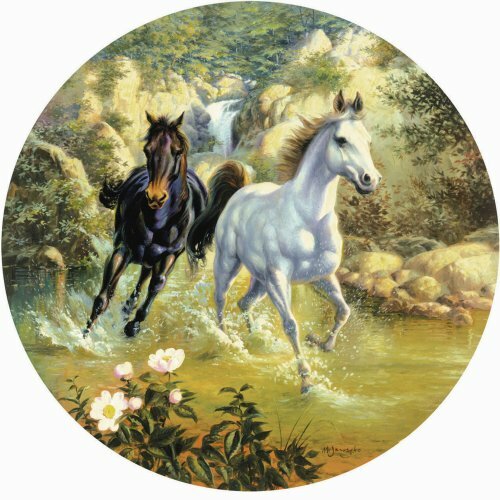 You will find beautiful photographic horse jigsaw puzzles and jigsaw puzzles made from the artwork of famous equestrian artists and not to forget the hidden image horse jigsaw puzzles. 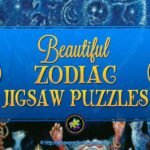 There are so many stunning works of art that have been transformed into jigsaw puzzles for our enjoyment that it won’t be difficult for you to find at least one or two that suit your own taste. 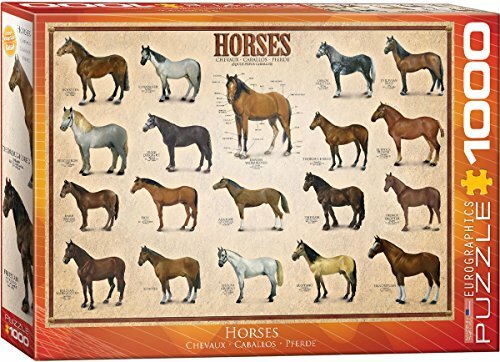 What you will find here are horse puzzles of varied sizes, shapes, and complexity but there is one thing they all have in common is that they capture the spirit of the horse in a way that we can enjoy for hours and hours. 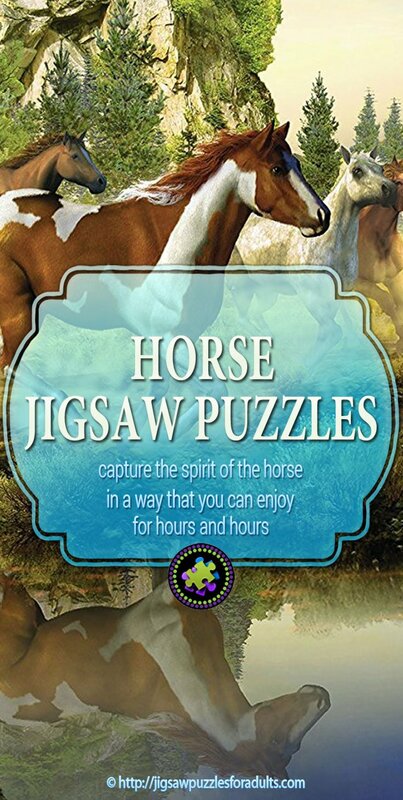 Regardless of your puzzling experience you will be sure to find a horse puzzle that will not only delight you but challenge you. 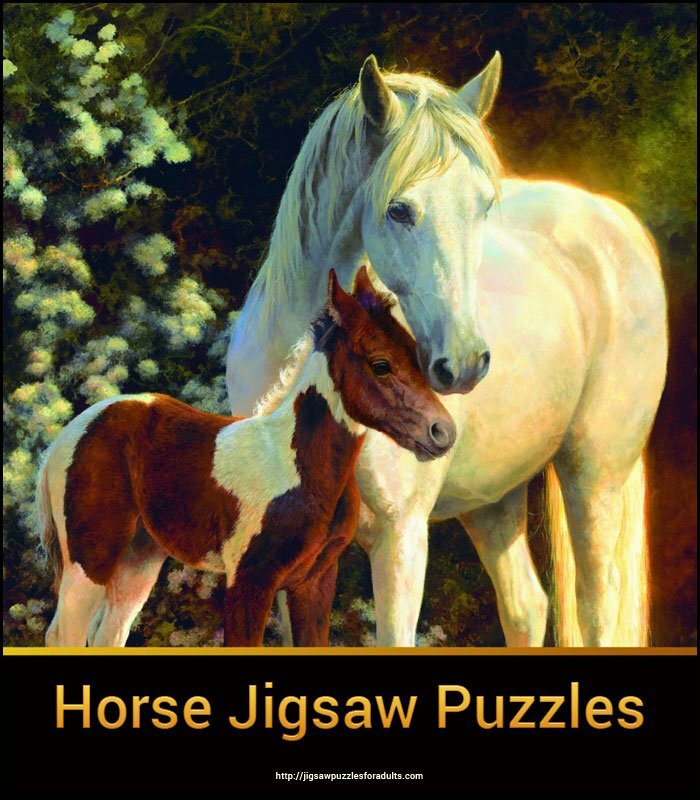 If you are a fan of horse’s and you also love working on jigsaw puzzles, you’ll love the collection of horse jigsaw puzzles that I have found. 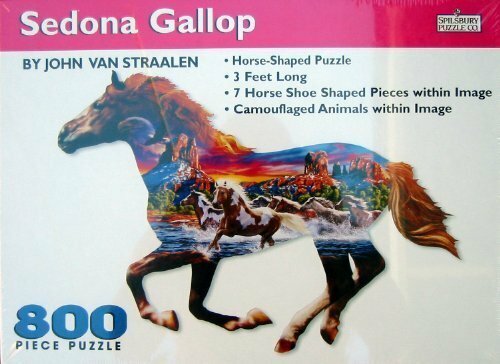 On this page you’ll find horse puzzles in a variety of shapes and sizes and piece counts. 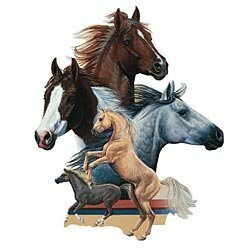 Buying Horse Jigsaw puzzles online is without a doubt the the most convinent and easy way to find the idea horse puzzle that you are looking for. 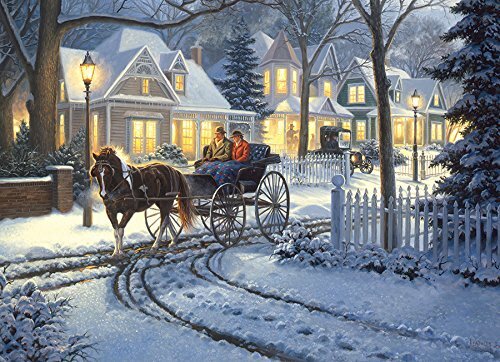 No traffic, no parking and no crowds and no going from store to store. 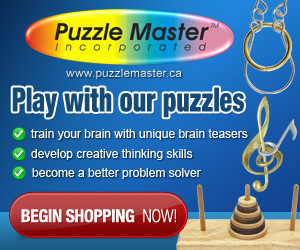 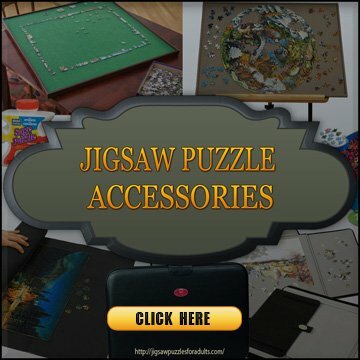 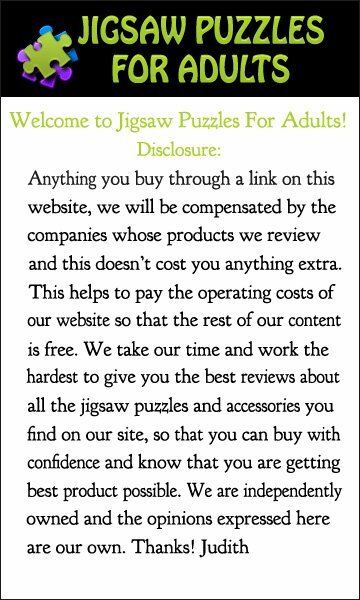 You find it all in one place and best of all the prices are much better online and your puzzles will arrive right at your door. 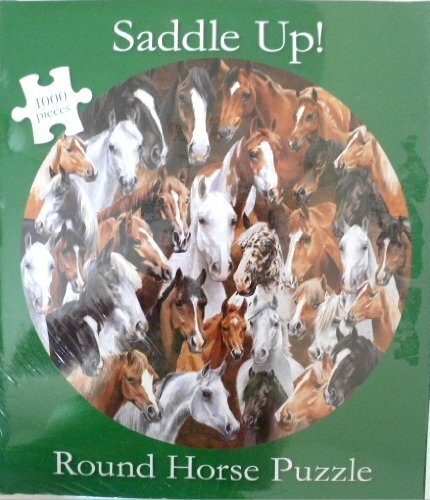 Now really this is an awesome way to buy horse jigsaw puzzles! 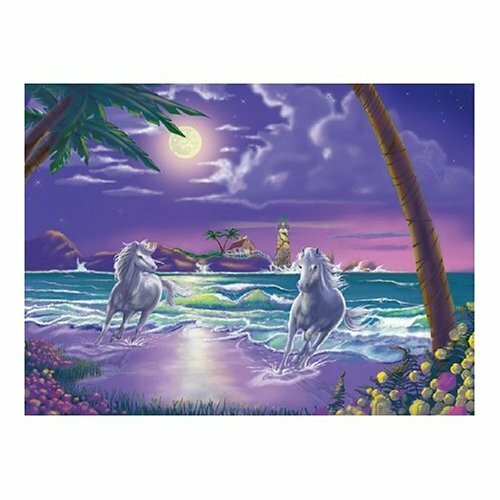 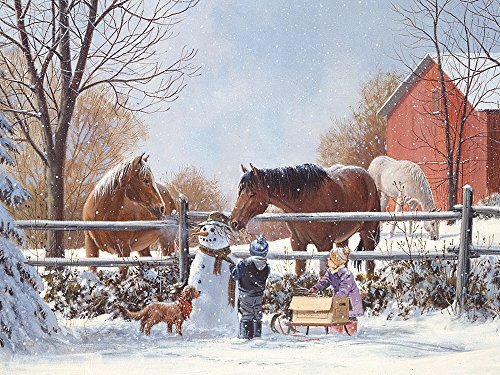 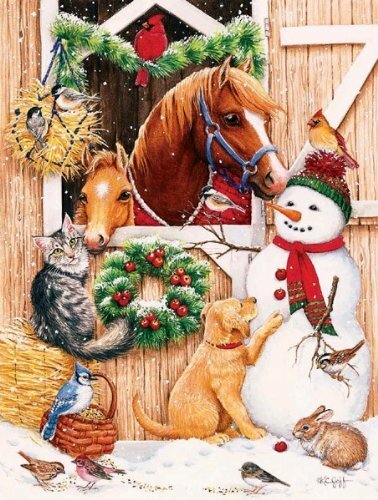 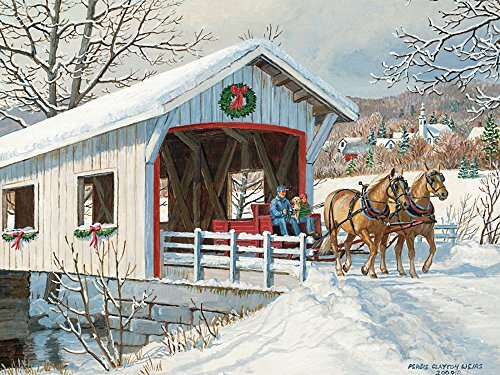 SunsOut Puzzle Company is another jigsaw puzzle manufacturer that carries a Great selection of horse jigsaw puzzles. 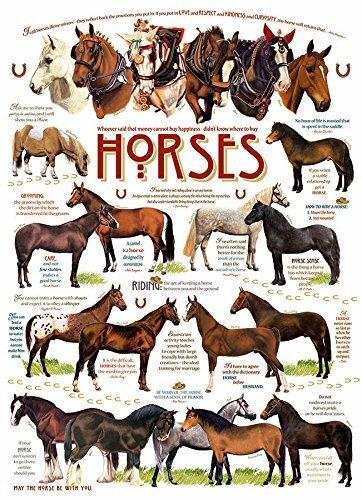 There are just so many available that it’s sometimes hard to choose. 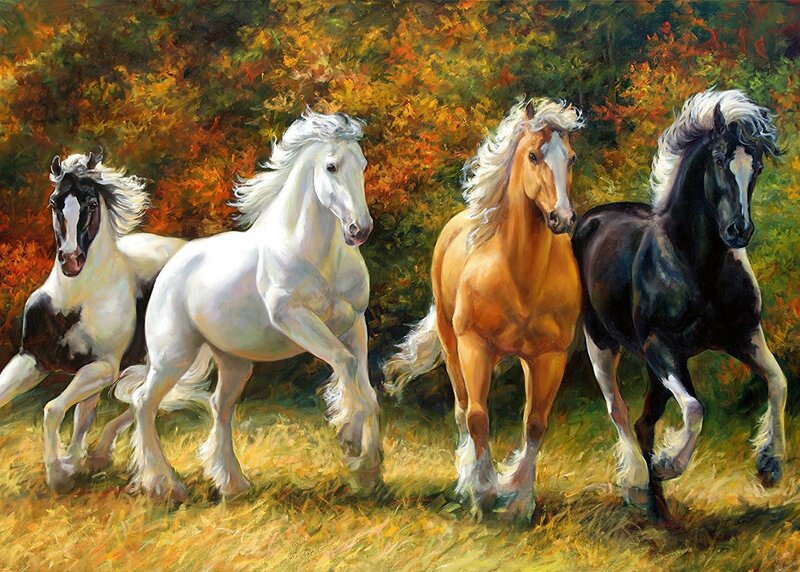 However, I’ve found a number of my favorites. 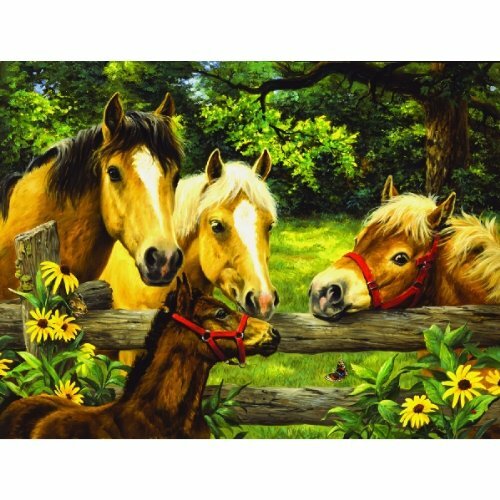 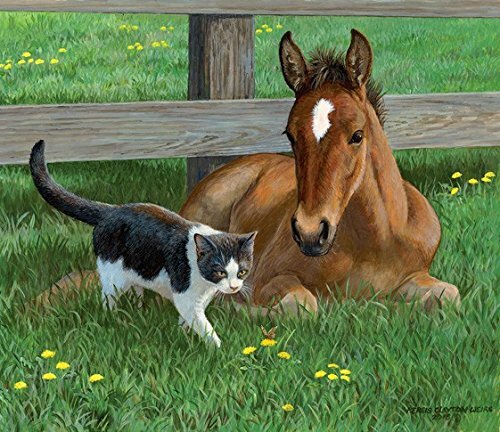 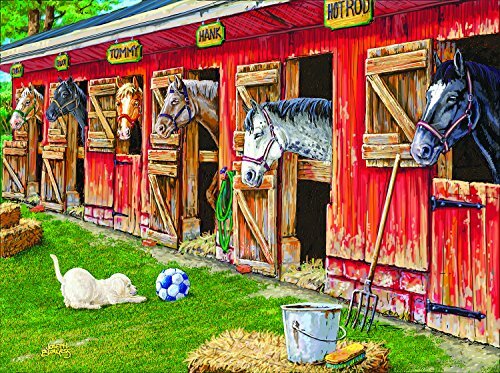 If you are looking for the full selection of SunsOut horse puzzles CLICK HERE! 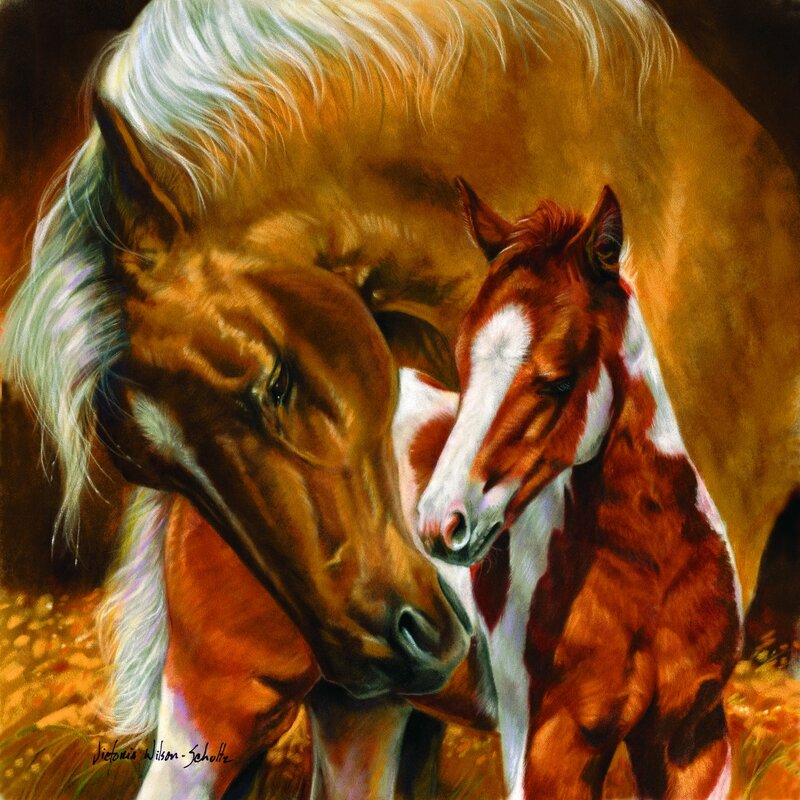 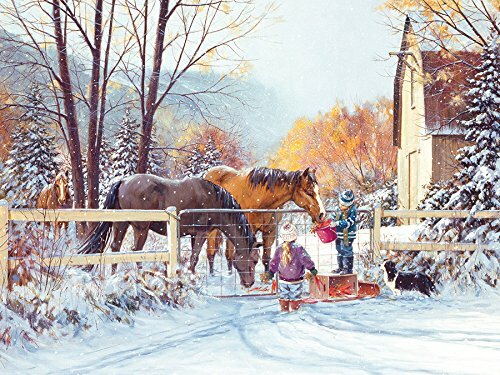 A Mother’s Touch by artist Victoria Wilson -Schultz is a 500 piece horse jigsaw puzzle that when finished measures 19 inches by 19 inches. 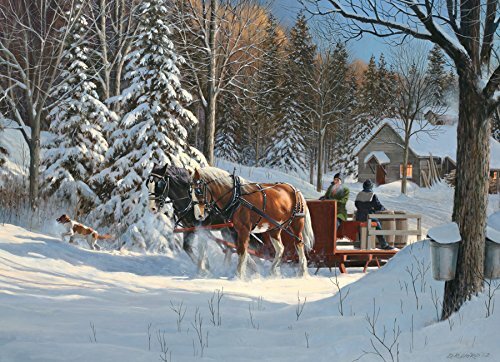 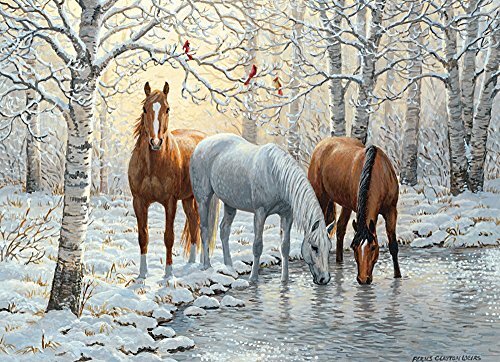 Dragon’s Breath by Artist Doug Laird is an absolutely stunning 550 piece horse jigsaw puzzle that when completed measures 15 inches by 24 inches. 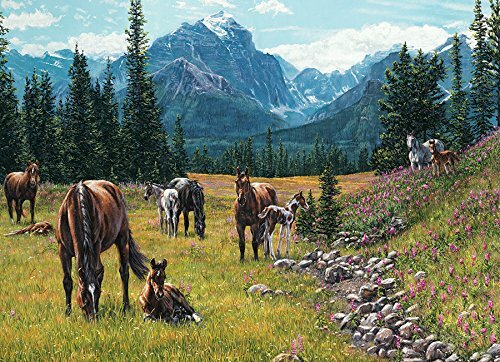 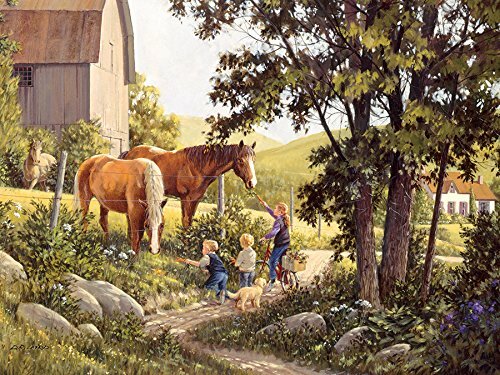 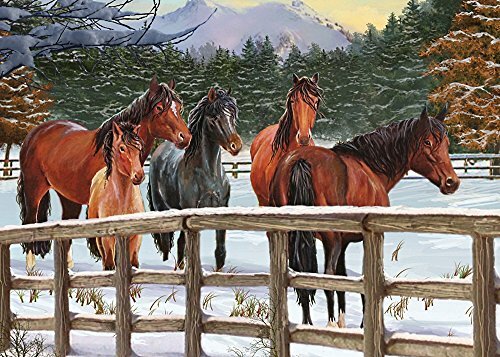 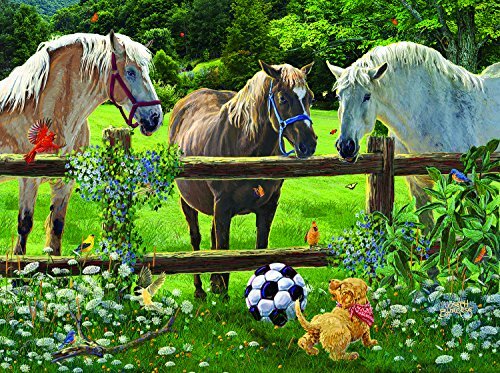 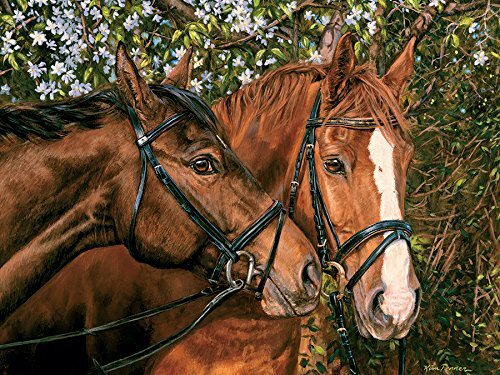 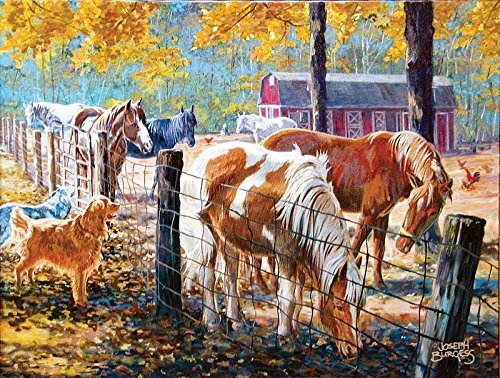 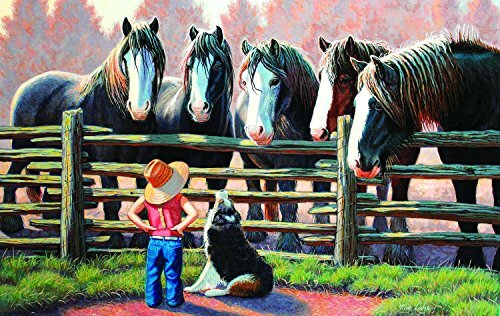 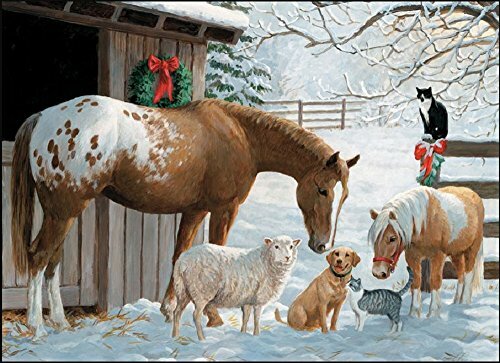 This beautiful Horse Surround 500 piece SunsOut jigsaw puzzle is made from the artwork of Syeve Kirchner and measures 18 inches by 24 inches. 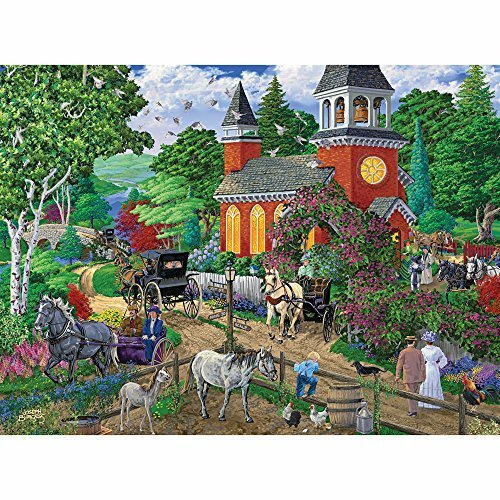 In Their Own World by artist Lesley Harrison is a 1000 piece Jigsaw Puzzle by SunsOut that when completed measures 20 inches by 27 inches. 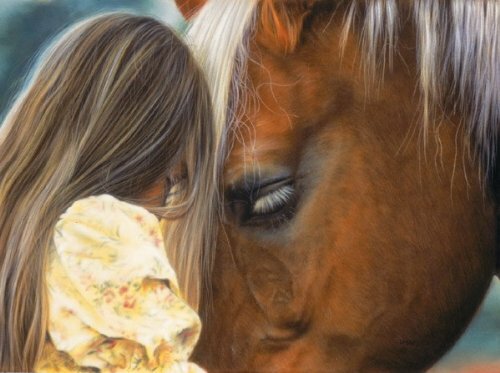 Love this picture as it reminds me of my own daughter and her horse when she was about that age. 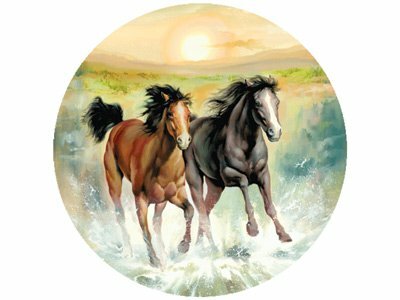 The horse is Freedom and there is absolutely no mistaking the power of a thoroughbred in the wild on a bright blue sky day. 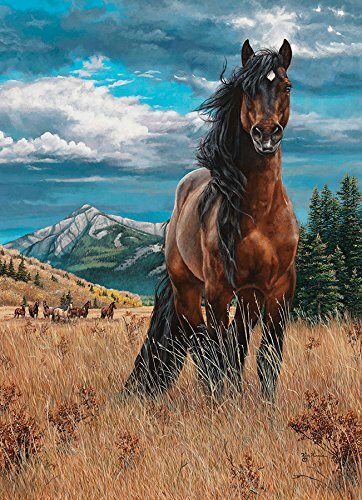 He’s is ready for a new journey roaming through the mountains. 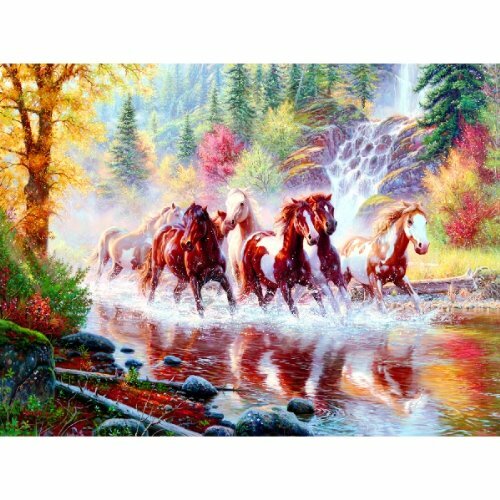 This beautiful 1000 piece puzzle that surely bring out the sense of adventure in the jigsaw puzzler who works on this horse jigsaw puzzle. 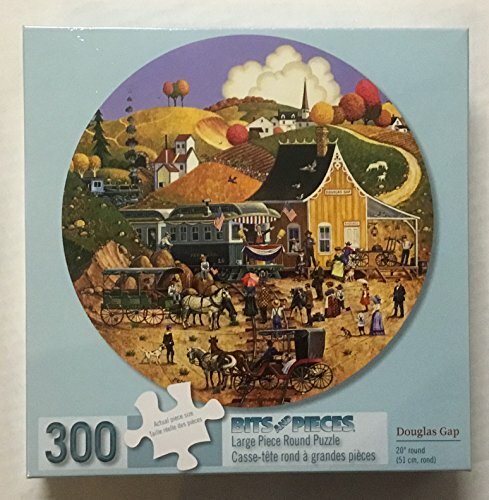 This puzzle Freedom by artist Kim Penner is made in the USA and measures 19.25 inches by 26.625 inches when finished. 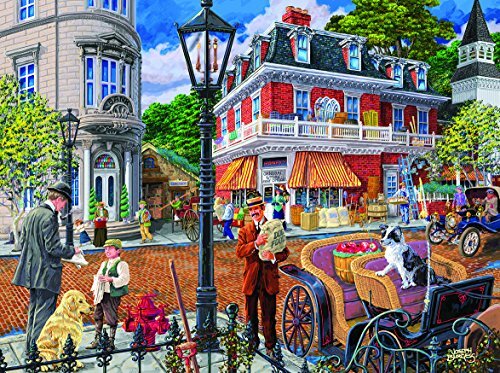 Buck and Babe is a beautiful 1000 piece jigsaw puzzle from the artwork of artist Carol Decker that measures 26.625 inches by 19.25 inches. 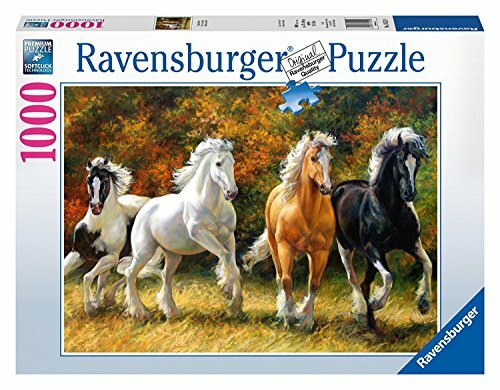 This Galloping Horses Puzzle by Ravensburger is a beautiful puzzle, but it is very challenging! 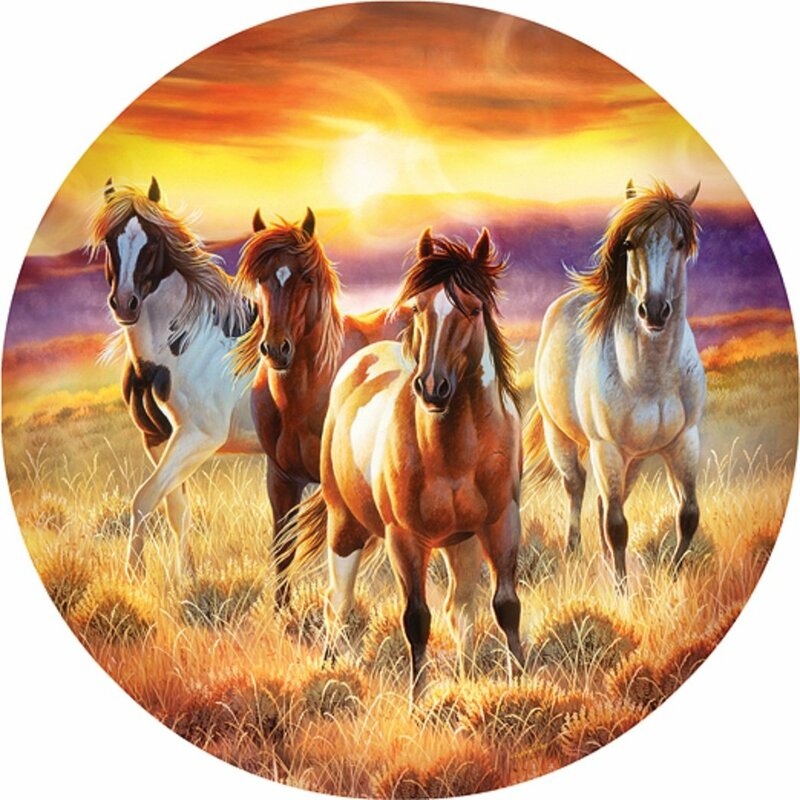 The Four Horses of the Apocalypse jigsaw puzzle is a stunning piece of artwork by artist Sharlene Lindskog-Orsorio. 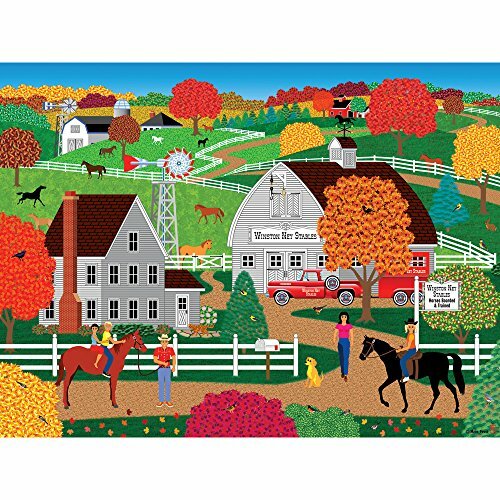 It is made up of 1500 interlocking jigsaw pieces and the finished puzzle measure 24 inches by 33 inches. 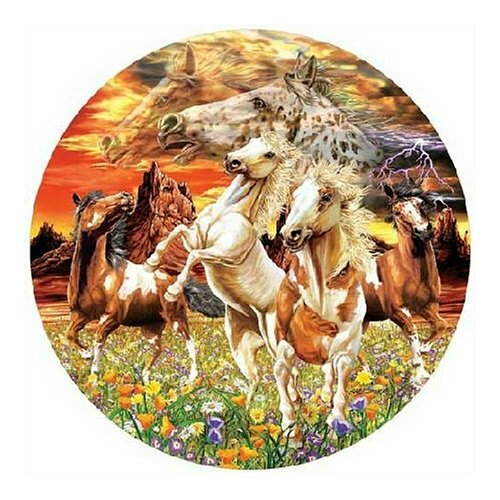 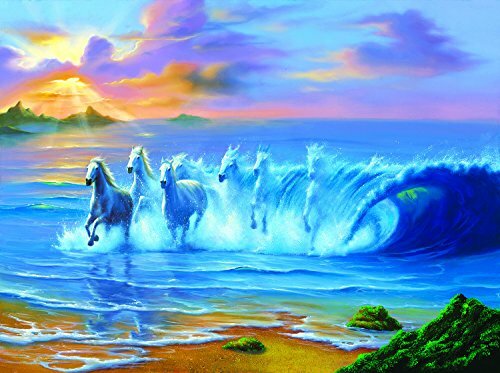 The colors of The Four Horses of the Apocalypse jigsaw puzzle are vibrant and the jigsaw pieces have a wonderful gloss. 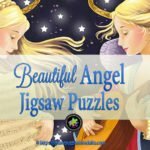 The details on the pieces are so crisp and this makes it easy to know what goes where. 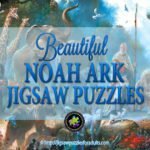 All in all this puzzle is gorgeous and a pleasure to put together. 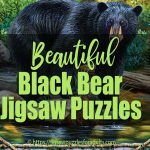 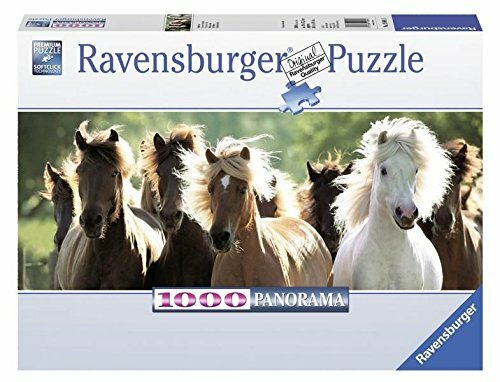 If you enjoy jigsaw puzzles that portray natural wild life you will simply love this 1500 piece puzzle by Ravensburger that measures 33 inches by 23.5 inches. 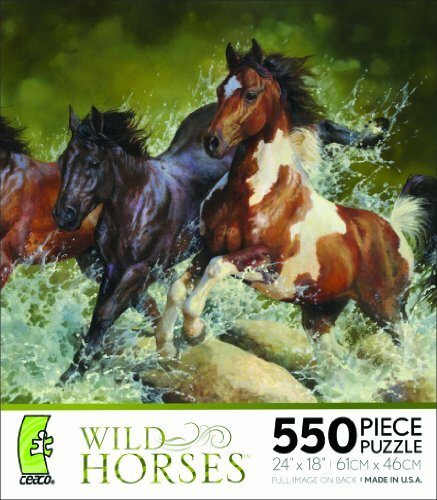 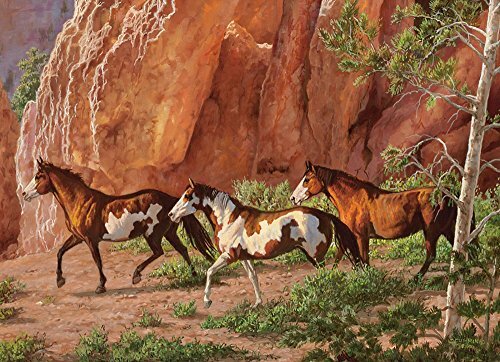 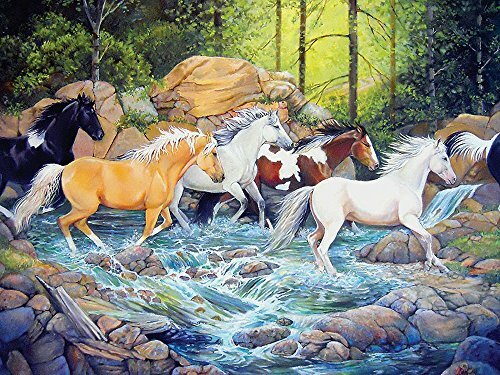 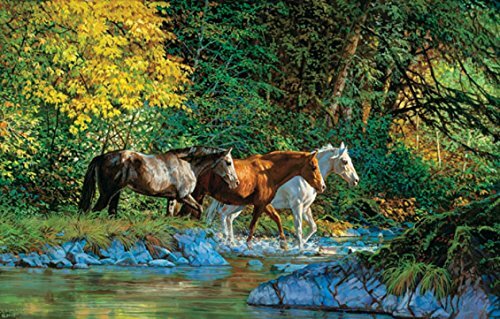 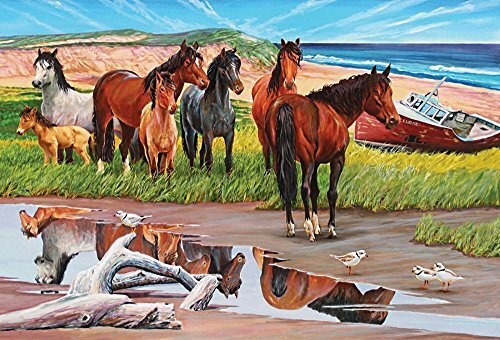 This beautiful Wild Horses Jigsaw Puzzle by Ravensburger has 1500 puzzle pieces and is a little difficult but well worth it. 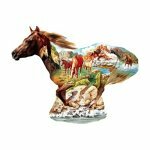 Panoramic Running Horses Jigsaw Puzzle is a fantastic and challenging true work of art made by Clementoni from Italy. 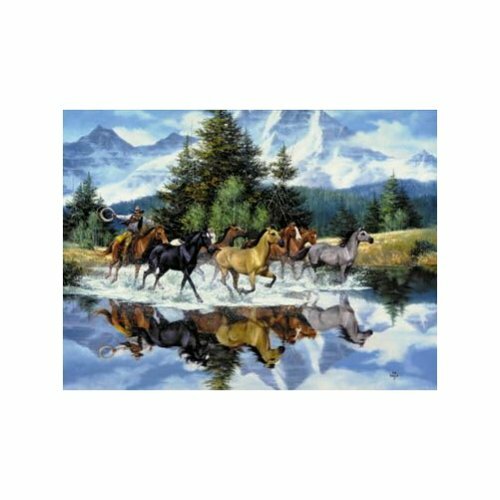 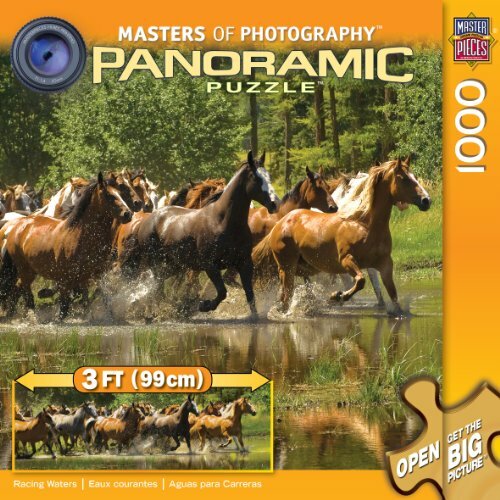 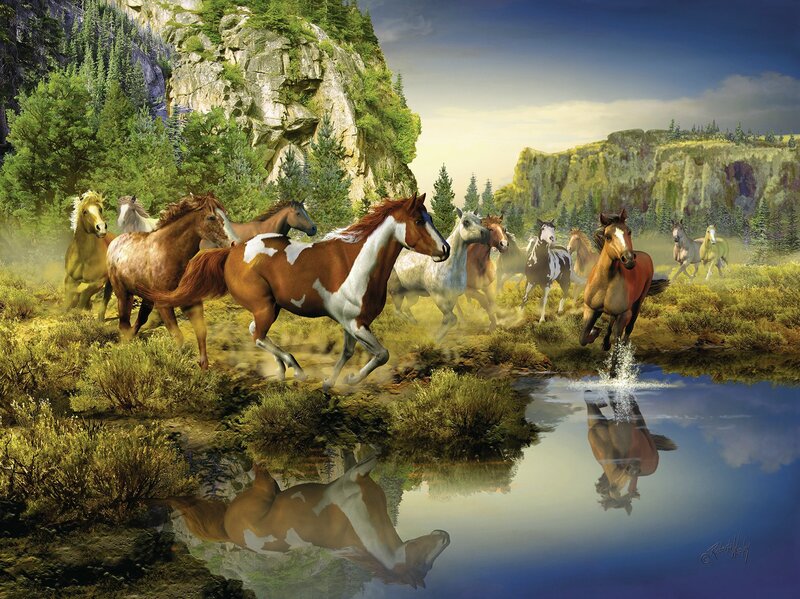 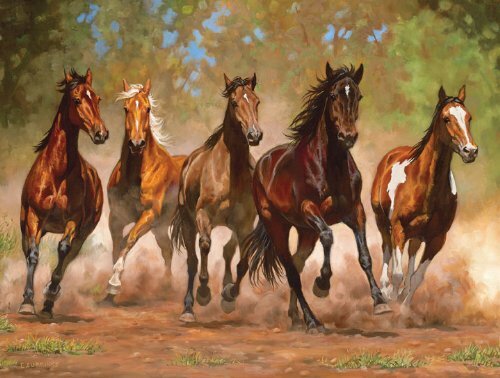 This jigsaw puzzle depicts a herd of 7 beautiful wild horses running through a wide open field at dusk. 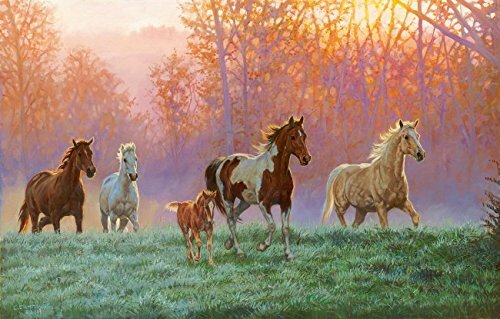 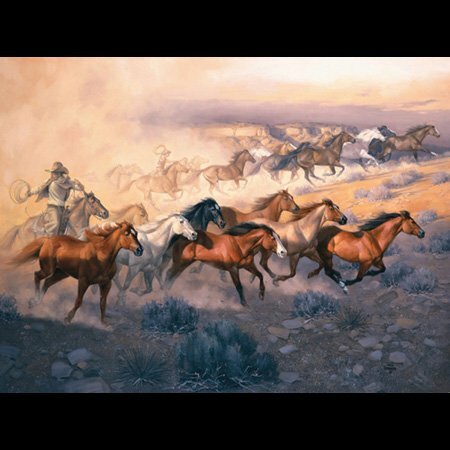 Horses are the embodiment of freedom and within the golden glow by a sunlit mottled forest a herd of wild horses gallops almost just as if illuminated from the inside. 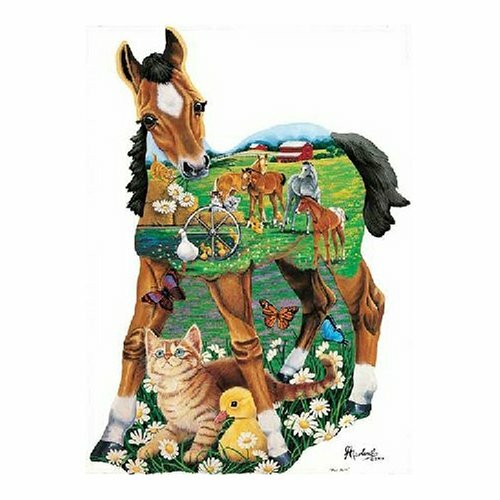 This delightfully executed artistic horse jigsaw puzzle will a favorite pleasure any horse enthusiast. 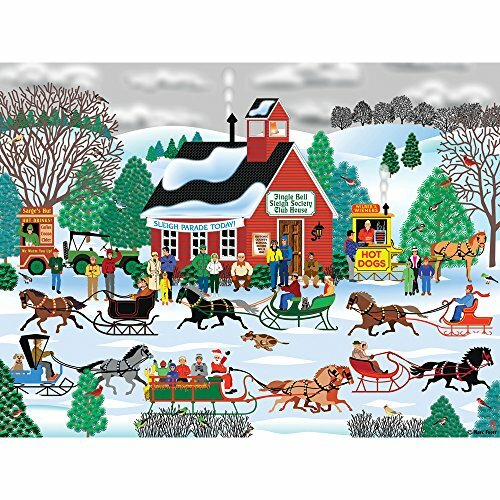 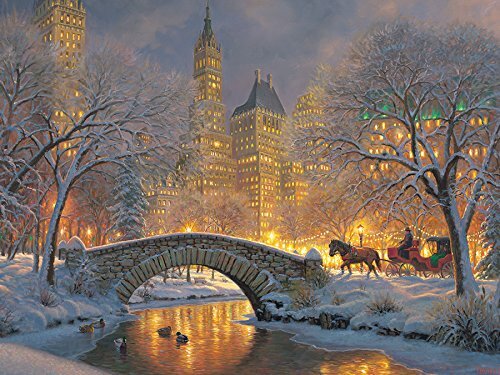 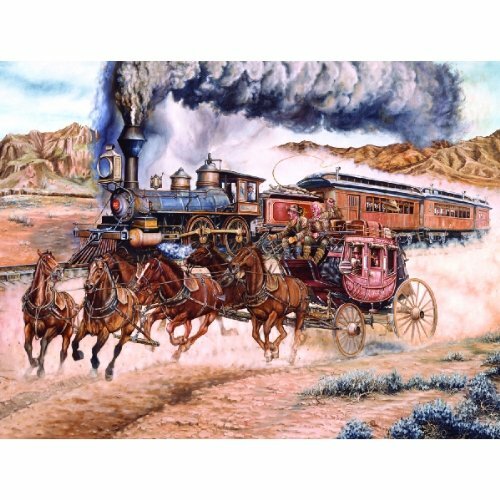 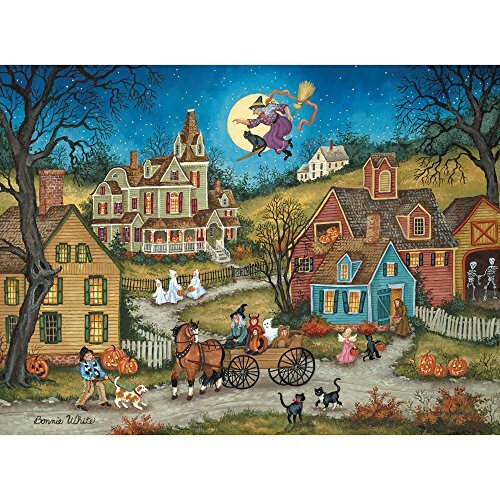 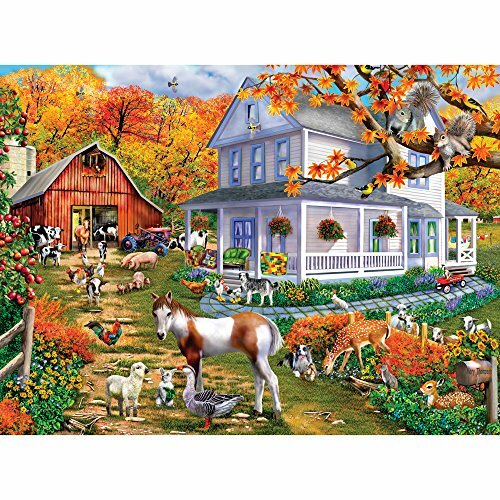 This 1000 piece panoramic jigsaw puzzle measures in at 38 1/2 inches by 13 inches and is printed on anti-reflection paper. 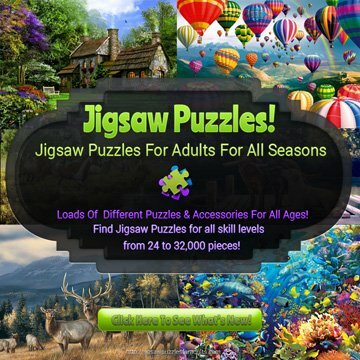 If you enjoy putting together a good challenging jigsaw puzzle, this one is for you. 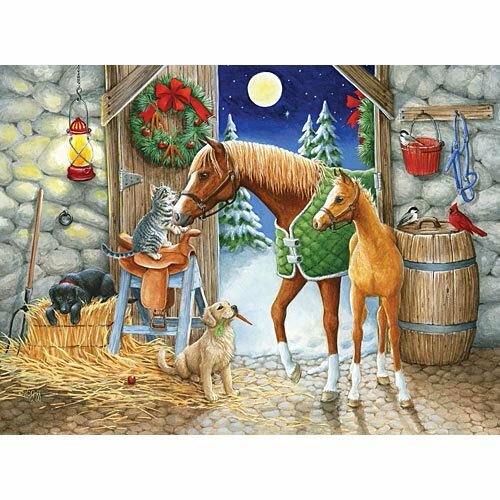 This would make the perfect gift for any horse lover. 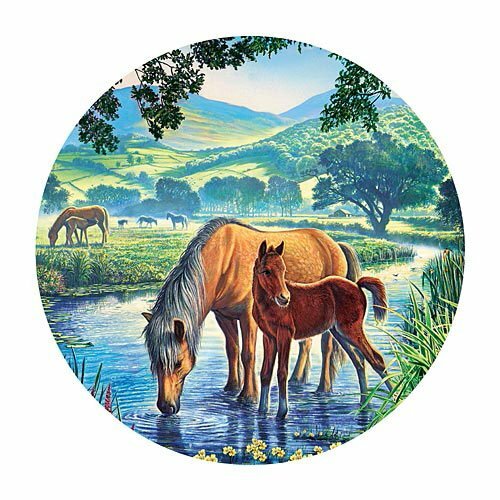 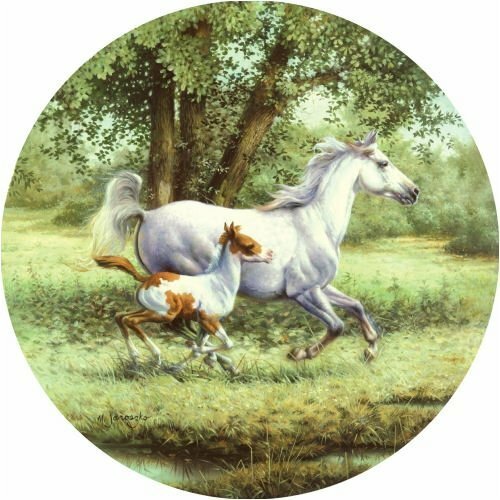 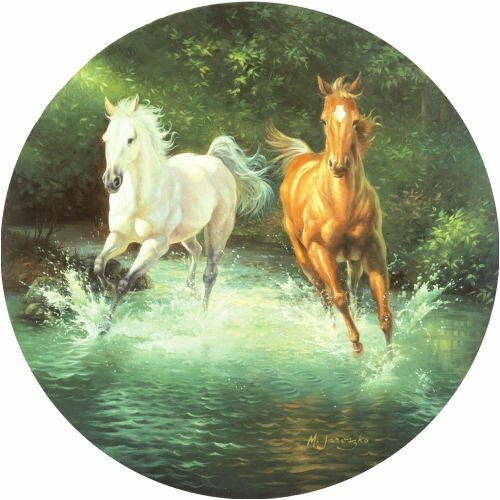 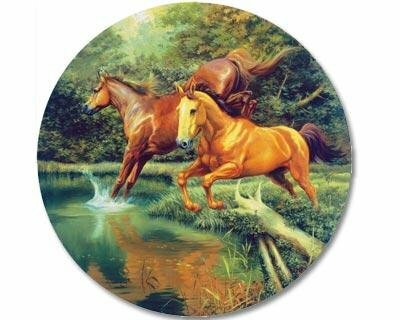 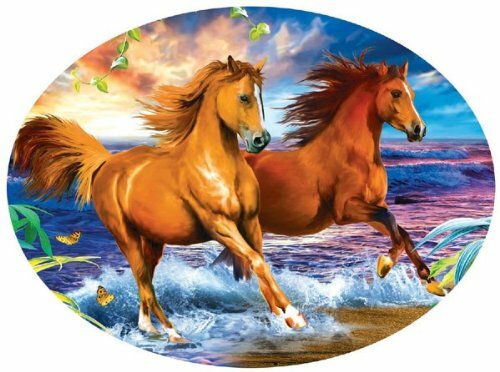 Running in the Sun by artist Cynthie Fisher is a beautiful round horse jigsaw puzzle is made up of 500 puzzle pieces and measures 19.5inches in diameter when completed. 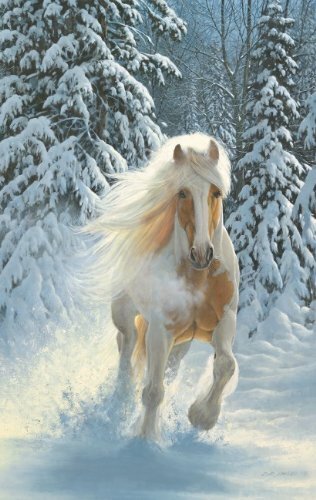 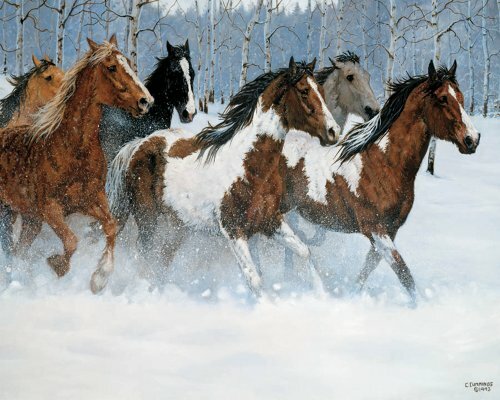 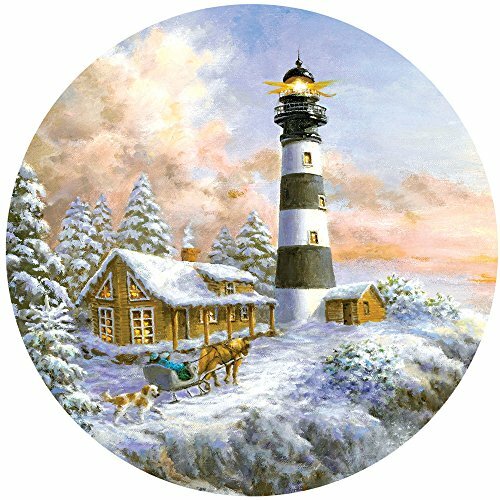 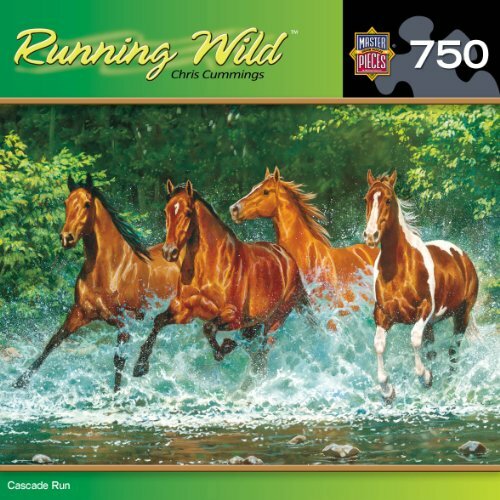 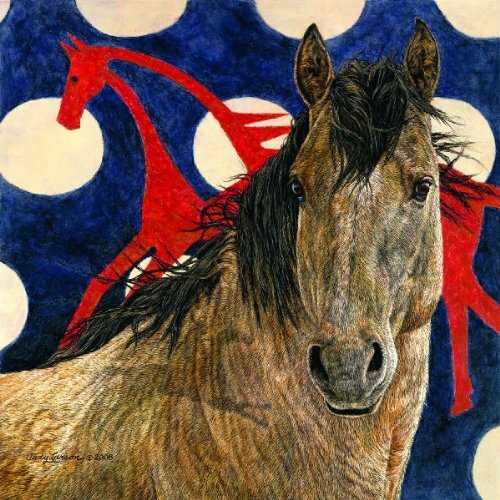 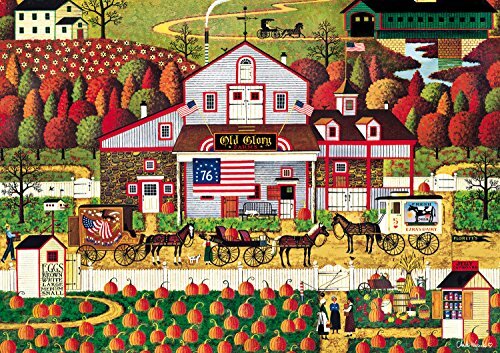 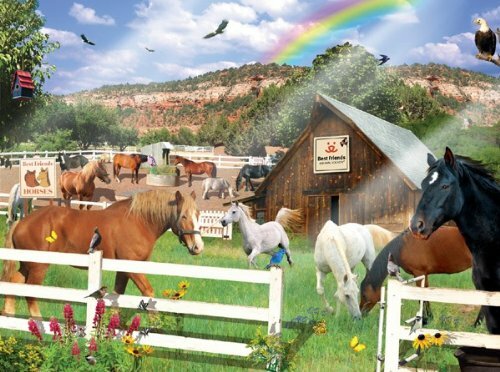 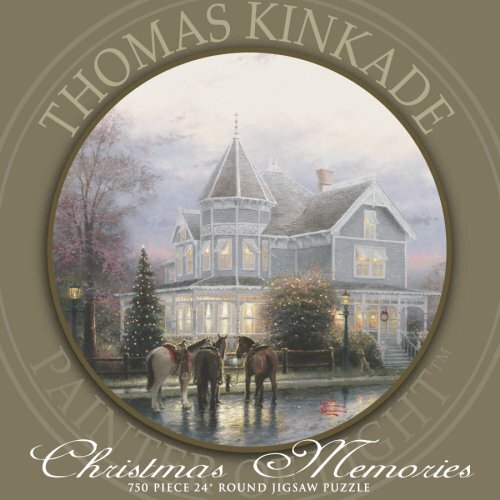 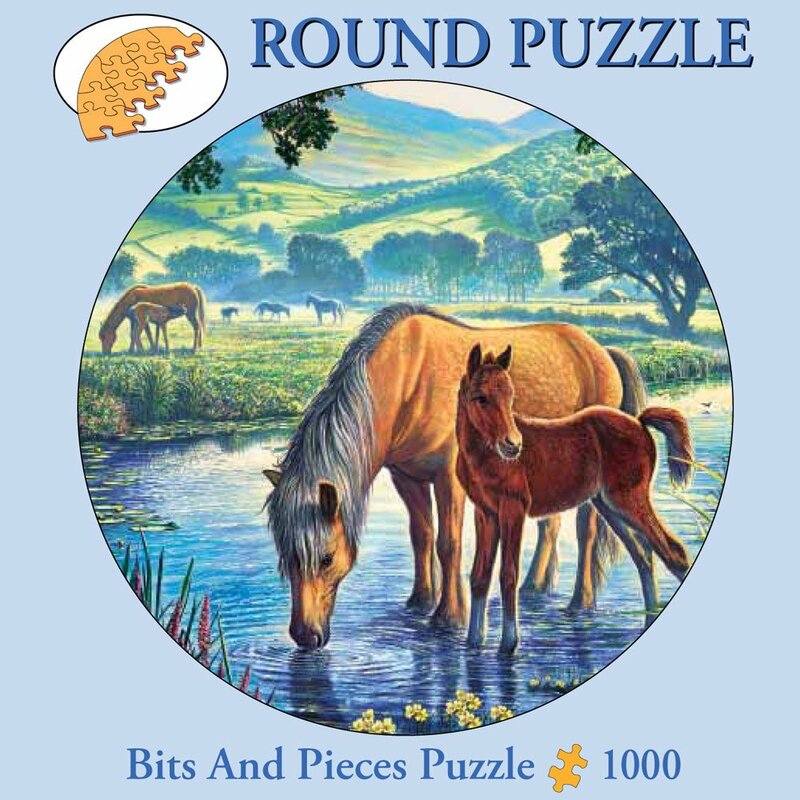 Free as the Wind is a 1000 piece round horse jigsaw puzzle from SunsOut Puzzle Company. 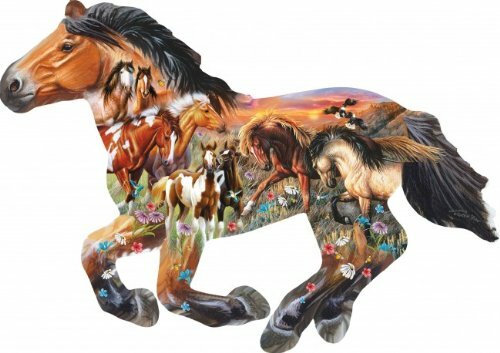 This 1000 piece Fell Pony, Horses jigsaw puzzle by Artist Steve Crisp will be a delight to work on. 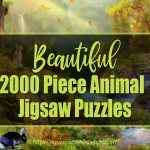 Shaped horse jigsaw puzzles are always fun to work on, and the ones I found below are in a variety different sizes and piece counts. 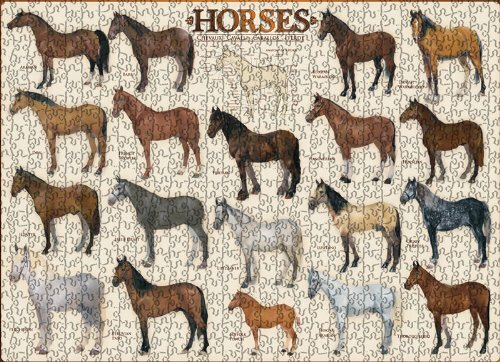 This Horse Jigsaw Puzzle by EuroGraphicswill delight and educate all at the same time. 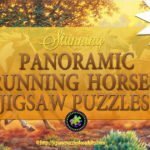 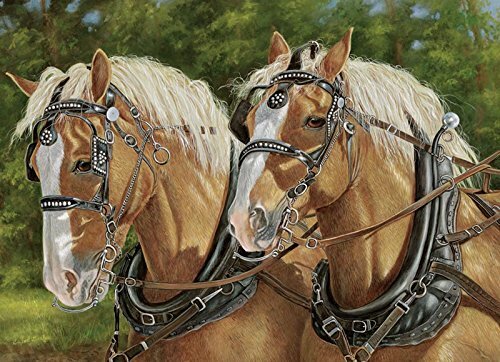 If are passionate about horses and love doing jigsaw puzzles make sure you bookmark this page and come back often because I will be adding more Horse Jigsaw puzzles as I find them. 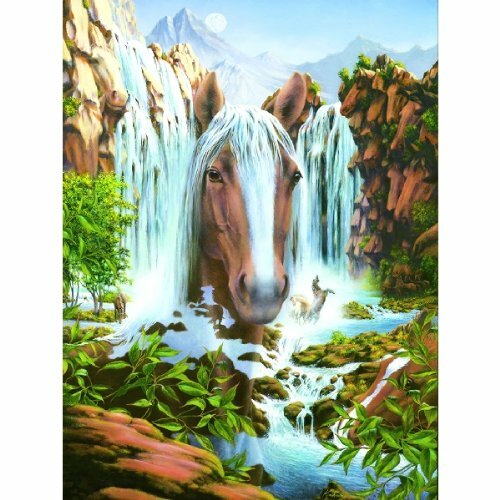 I hope you enjoyed this page and if you would like to see more beautiful Horse Puzzles CLICK HERE.